Wedding receptions are always a bit troublesome for me. I don’t usually know too many people other than the bride and groom. As the pastor who officiated at the wedding, I usually go to the reception alone and am never sure where to sit. If I sit at an empty table, will I end up sitting alone? Will my presence stifle the conversations and activities of others I sit with? Jesus tells a parable about a wedding feast. He reminds us to not choose the place of honor. The host will choose those whom he wants in that place. It would be wise to consider ourselves in last place and be honored by the host when he moves us up next to him, rather than to consider ourselves to be worthy of the first and most favorable seat and be moved to a corner in the back of the room. When Jesus’ disciples were vying for the best seat in his kingdom, he told them, “Anyone who wants to be first must be the very last, and the servant of all” (Mark 9:35). 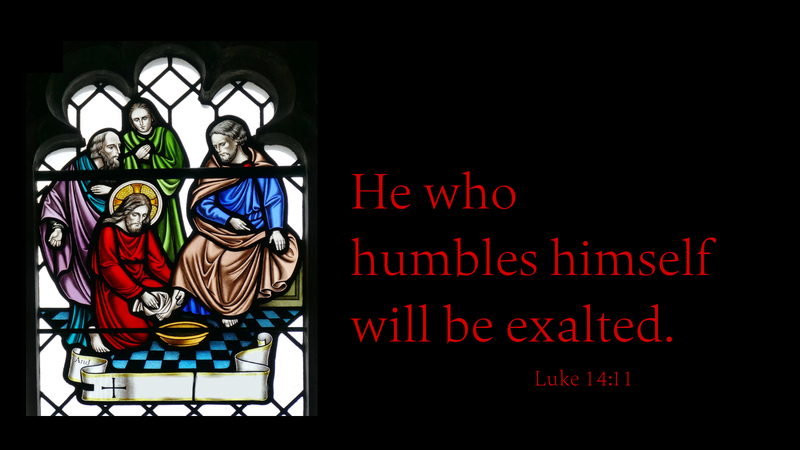 Prayer: Help us to be your humble servants, following the example of Jesus Christ, our Lord. Amen.